The bad and the ugly? Their opportunity is to push good talent out the door or to change and become a good boss. As careers evolve people work in different jobs for various companies. Teenagers start with paper routes or babysitting, then move on to the front line in fast food restaurants or retail stores. As skills and preferences grow, the ultimate goal is getting to the most enjoyed or suitable job with the preferred opportunities. With the right leadership, career choices and the desire for advanced education grow, meaning every boss at every level plays a part in an employee’s future. This growth and diversity exposes individuals to different workplace cultures and supervisory styles. It only takes two jobs/employment opportunities to create a comparison between cultures and leadership. Unfortunately too many of those comparisons include experiences with a bad boss. Bosses have so many opportunities to act, lead and communicate well while retaining and growing good employees. 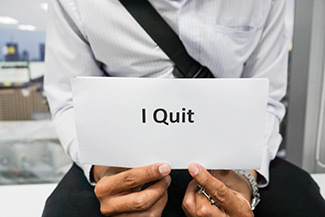 Unfortunately, many don’t capitalize on these situations; so before fed up employees leave, here are seven key skills to learn and implement now and instantly become a better manager. Too often a challenge spins out of control because a leader won’t make a decision. Teams need leaders not fence sitters. Weigh the pros and cons of the options, pick one and act on it. Employees can’t master what they don’t know and often need opportunities to learn and try new things. Encourage and build their confidence by letting them know that a “try” is valued (without reprisal). Help unleash their undiscovered talents. There is something to be said for structure and routine but don’t be that boss who is unapproachable and close-minded. Leaders need to relax and allow opportunities for change and creativity. When employees make suggestions or requests, they should be welcomed, considered and capitalized on. The primary focus for a team is the target numbers of widgets made, sold or acquired. A poorly led team will miss the mark; a well lead team will meet and exceed targets. The secondary focus should be the creation of employees’ goals for personal and professional improvement – not just “here and now” but also for “what’s next” to optimize both the workplace and the individual. When bosses throw others under the bus and blame them for bad outcomes, people leave. A good leader should accept and pass on team accolades as well as take responsibility for team misses. Their role is to have employees’ backs and focus on problem-solving. When people know bosses celebrate the good and absorb the bad they will go the extra mile. It is not unusual for bosses to hoard information in the name of power. They only tell staff the bare minimum or share on a need to know basis. This lack of transparency fosters mistrust. Good leaders share information, details and rationales with staff to create effectiveness and efficiency. They also explain and describe the “why” so staff can maximize the “how” successfully. There is a saying that a team is only as strong as their weakest link. If team members aren’t performing at 100% accountability and responsibility, then Houston, we have a problem! People will not tolerate a leader who shows favouritism to allow bad behaviour, excessive absenteeism or unproductive presenteeism. Bosses need to step up to the plate and manage the bad performers. Either fix or fire bad employees so equality, fairness and unilateral treatment exists amongst all team members. If any of these seven skills jumped out at you, or a previous scenario when one of these skills should have been implemented comes to mind, then it is time to work on that skill. Don’t bury your head in the sand and be the reason staff leave the company. Now that you have awareness of a skill deficit step up to the plate and create change. On a scale of 1 to 10 (1 = poor; 10 = excellent) rate your supervisor on his/her ability to be transparent by communicating and offering full and detailed information on a regular basis. Of course, anonymity will produce the best results so make this assessment confidential. The second easiest action to enhance supervisory skill-building in these seven areas is simply to adjust communication styles. How? Ask more questions of team members. Any ideas on how we can be more efficient? Are there any tasks you would like to try? What can we start, stop or adjust to improve our team? Continue along that path by asking staff about themselves and their work, get curious about their interests, inquire about future goals or new ideas, request innovation and so forth. It doesn’t need to be about their personal lives, but about them personally. This will achieve information and insight that inevitably improves leadership. Don’t be afraid to be a supervisory “student” and let staff teach what is important to them and what areas need work or improvement. Don’t be the boss that says everyone else needs fixing. Work on these seven skills and be open to increased self-awareness and strategies to enhance leadership, communication and ultimately followership. If these seven skills seem absent in your management skills or those of others, fix them and stop employees from heading for the door. At Pam Paquet & Associates, we help managers excel and become great examples to others in leadership. Find out more about our Building Better Bosses Program or contact us at pam@thepossibilities.ca or 604-349-8660 to set up your free strategy session to determine your learning needs. This entry was posted by Pam Paquet and is filed under Bad or Challenging Managers, Communication, Leadership. You can follow any responses to this entry through the RSS 2.0 feed. Both comments and pings are currently closed. How Can Managers be so Oblivious to the Obvious?